Not likely to rest on its laurels anytime soon, Singapore has mapped out its maritime future for the coming decade. 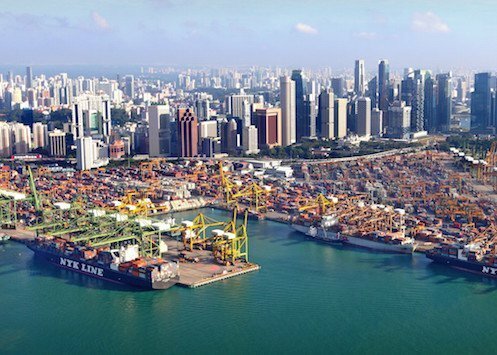 Widely polled as the world’s most vibrant maritime centre, Singapore has just unveiled its Sea Transport Industry Transformation Map (ITM), which aims to add 5,000 jobs and $3.4bn in maritime-related revenues by the middle of the next decade. Connectivity, innovation and talent were the three key themes outlined by senior minister of state for transport Lam Pin Min while unveiling the ITM at an event on Friday evening. “While 2017 was a better year than the last, the road ahead remains challenging. Indeed, we have to continue to paddle hard to stay ahead,” said Lam, during the annual Singapore Maritime Foundation (SMF) New Year cocktail reception. SMF’s chairman, Andreas Sohmen-Pao, the boss of BW Group, commented that the new strategy looks to strengthen intangible assets and capabilities, and is not just about building physical assets.